Strong acetate plastic frame and temples. Scratch-resistant polarized plastic lenses offer 100% UV protection and a soft gradient coating. Colorful lens trim for added fashion flare. Gold-tone brand logo hardware insignia at each temple. 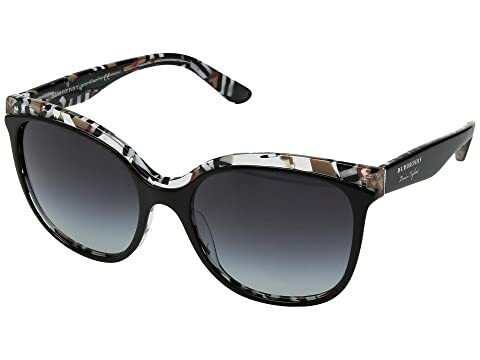 We can't currently find any similar items for the 0BE4270 by Burberry. Sorry!